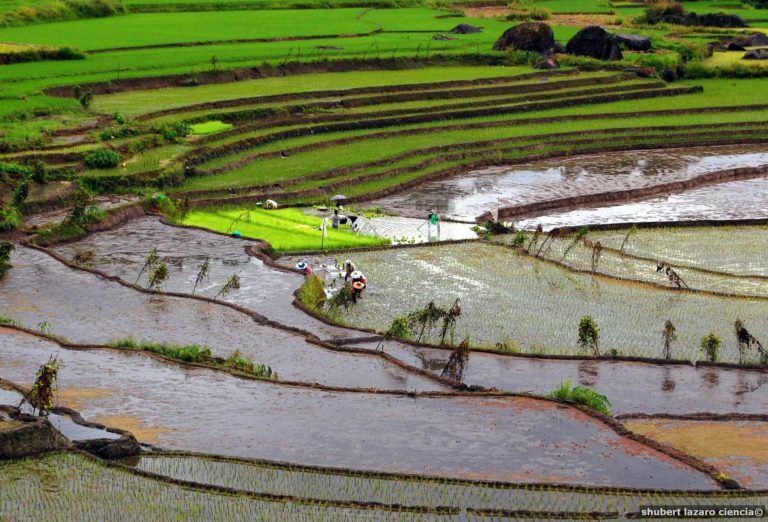 Philippine rice production could rise by nearly 3.11 percent to a record-high of nearly 20 million metric tons (MMT) on the back of higher yield and better farm-gate prices, according to the Department of Agriculture (DA). Despite this, the United Nations’s Food and Agriculture Organization (FAO) projected that Philippine rice imports this year would expand by 40 percent to 1.4 MMT. “This year rice production is expected to grow by about 600,000 metric tons [MT], stimulated mainly by good palay-buying prices, favorable climate and the increase in the adoption of good quality and hybrid seeds by farmers,” Agriculture Secretary Emmanuel F. Piñol said on Tuesday. Rice output last year grew by 9.3 percent to 19.28 MMT, from 17.63 MMT recorded in 2016, according to the Philippine Statistics Authority (PSA). The 9.3-percent increase in palay output last year allowed the country to reach a 96-percent self-sufficiency in rice, according to the DA. “Last year the country posted its highest rice harvest in history at 19.28 million metric tons, which reduced the country’s dependence on imported rice from over 2 million metric tons in 2010 to only about 600,000 to 800,000 metric tons this year,” Piñol said. The FAO said in a report published recently that Philippine rice imports this year would expand by nearly 400,000 MT from the previous year’s level. This, the report noted, reflects Manila’s efforts to beef up the buffer stocks of the National Food Authority (NFA). The expected hike in Manila’s rice purchase abroad would drive its total cereal imports this year to a “near-record” level of 7.2 MMT, 5.88 percent higher than the 6.8 MMT recorded in the previous year, according to the FAO. “Maize imports are forecast to surpass last year’s below-average level and reach 430,000 MT, reflecting expectations of a decreased output,” the FAO said. In a meeting on Monday, the NFA Council (NFAC) has given the go signal to import 250,000 MT of rice via the government-to-government mode to replenish the stockpile of the NFA. Presidential Spokesman Harry L. Roque Jr. told reporters in a media briefing in Boracay that the volume would arrive in a month and would be sold at P27 per kilogram (kg). “Subsequent importation is to be done by government-to-private [G2P] or auction and importation will be implemented or supervised by the Executive Council Committee headed by the Office of the President,” Roque said. The Executive Council Committee members include representatives from the NFA, DA and Department of Finance, as well as the Office of the President. Instead of abolishing the NFAC, the highest policy-making body of the NFA, the council has been reorganized, according to Roque. He also announced that three agencies—the NFA, Philippine Coconut Authority and Fertilizer and Pesticides Authority—have been transferred back to the DA. “Because the NFA is under the DA anew, Cabinet Secretary [Leoncio B. ]Evasco [Jr.] will no longer be part of the NFA Council,” Roque said. Roque also noted that part of the new NFA arrangements include the relief of council member Development Bank of the Philippines’s (DBP), which was approved by the President. He said this was requested by the DBP representative who noted that the bank’s representation in the council is “redundant” since the Land Bank of the Philippines is also in the NFAC. “The Department of Social Welfare and Development [DSWD] will take the place of the DBP,” Roque said in a separate statement. In a statement which was read by Roque during the briefing, Evasco said he respects the decision of the President given the encompassing nature and impact of NFA on the Filipino people and farmers. Evasco also cited the NFAC’s achievements, such as putting in place several policy guidelines to have a “more transparent, competitive, inclusive and accountable” system of procurement and distribution of NFA rice as a result of more than 20 council meetings since his designation as NFAC chairman. “With the President’s decision to transfer the governance to the next council chairman, I believe that NFA can now move forward toward ensuring that corrupt, exclusive and debt-ridden practices during the past administrations will not reign in the next transactions to pass,” he said. “I call the new chairman to take advantage of what we have started and continue the systems transformation can so that it can take root in the NFA,” he added.